It could just be poor timing, but this looks damn bad regardless. 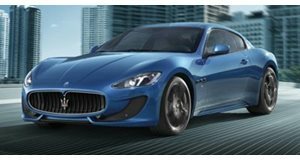 It was just about a week ago that we learned Maserati was issuing a recall for a small handful of GranTurismo and GranCabrio models. Only 33 total 2016 models were said to be caught in the recall, which was initiated a leak in the fuel delivery line could lead to a fire. Now we have this: A Maserati GranTurismo that burned to a crisp in Adelaide, Australia, after its engine reportedly overheated. The owner claims he had only bought it six weeks ago. That doesn’t sound good to us.